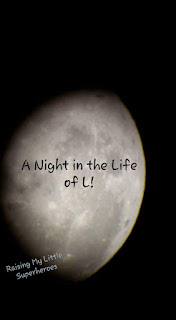 Raising My Little Superheroes : A night in the life of L! I'm often quizzed about L's sleep patterns. Roughly a month ago, this is what occurred on a Saturday night when L decided that he simply did not need to sleep!! I called lights out after reading 10 books to L and O. L could have kept going, Mummy couldn't and O needed to go to sleep. O was out within seconds of the light being turned off. 10.30pm L decides to tell me about Aquaman's pet fish named Goldy who looks a little like an overgrown goldfish but he's green and sparkly! Thanks, go to sleep buddy! Can I give you some melatonin please? L …. "No, I go to sleep aself." 11.00pm I thought L was asleep and watched a video on a social media site of a fella who farted in a mates car only to hear a little voice say "oo, he say naughty word." Ahh fudge, go to sleep buddy. Cue discussion about farting in a car and wanting to show said video to Daddy, "but I not say naughty words." Nope, we don't say the naughty words. Melatonin time? 11.05pm We need a torch, not sure what for, but we need a torch. Seems to be a life or death situation so off we go to find a torch. Okay, go to sleep buddy. 11.30pm L sets off his Falcon figurine who unbeknownst to me, was in the bed. Scared the poo out of me! "Oops sorry Mummy!" Go to sleep, please. Midnight "Mummy, I move over so you got more room." Thanks buddy. "No, you put your head on my pillow Mummy!" So we're squished up against the window in about 30cm of bed and I'm not allowed to move into the metre of spare bed. Go to sleep dude! Please can I give you some melatonin? 1.00am I find Thor's hammer in the bed. Fark! "Oh there it is, I lost it today!" Well I found it! 1.30am I get a palm on my face and a little voice whispers "I sing you a song Mummy! Baby shark do do do do!" with a big smile. "You record me please?" Ah why not, you're awake, I'm awake. "I sing softly so we not wake sissy!" Good idea. Video is too dark. "Lucky we gots your torch Mummy!" Yeah lucky! Now I know why we needed the torch! Two videos later with me trying not to giggle too loudly. Can I please give you some melatonin, it will help you sleep! "No, I not need it!" But Mummy does!!! For the love of God, please go to sleep. Mummy at this stage is thinking of a book called "Go the $#@& to sleep!" 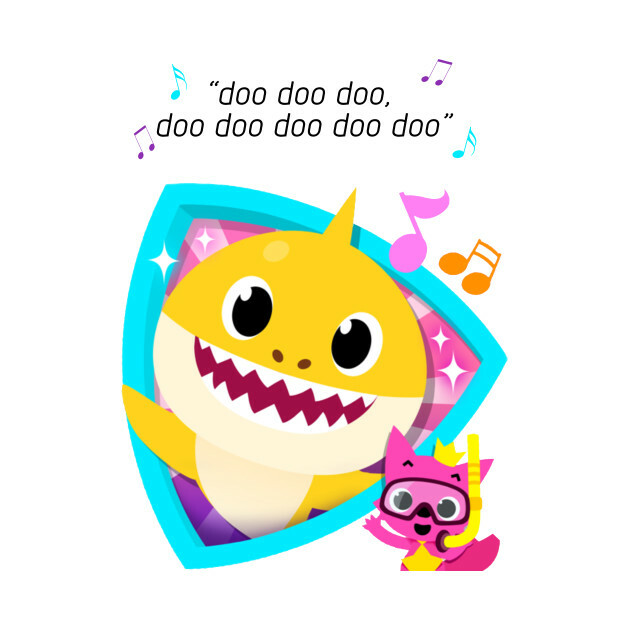 Sometime after that L fell asleep meanwhile I have "baby shark do do do do" running on a loop through my brain! Lucky you're cute L and that I love you because hooley dooley, it was a loooong night. How could I be cranky with his cute gappy face looking at me! And that my friends is why I am tired! 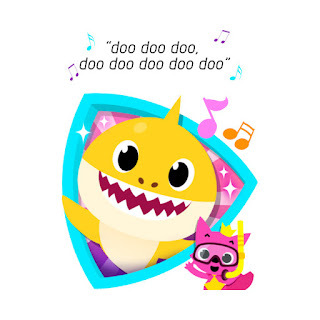 Baby Shark doo doo doo doo! You're welcome! And you laugh because what else can you do? Can't say he's boring... but I bet you really need the sleep, now! Ah, I remember nights with little sleep! You are a good momma, to engage in spite of the late hours. You are creating memories! I'll never forget the night where I only have so little sleep. It will get better.